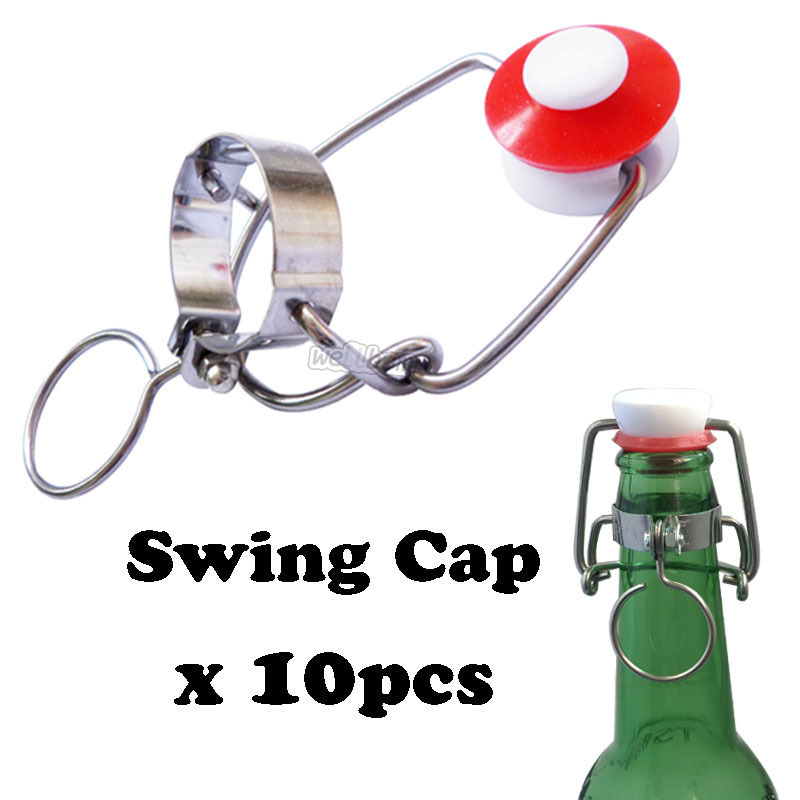 To put on bottle have bail lever on one side of neck and the swing cap on the other. 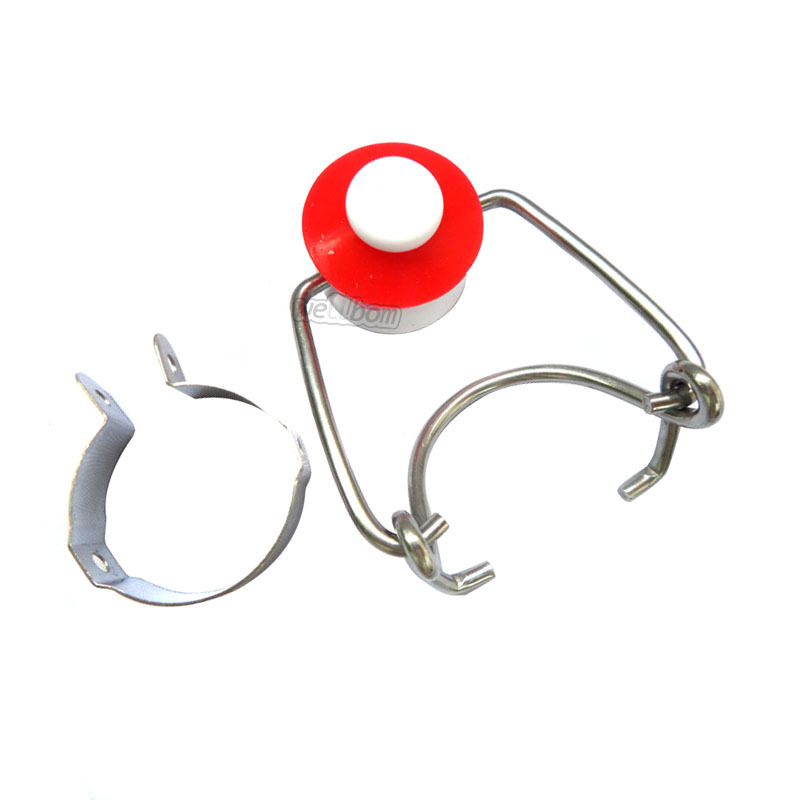 Put one wire prong in one hole and slide the other prong along the glass towards the other hole until it clicks. 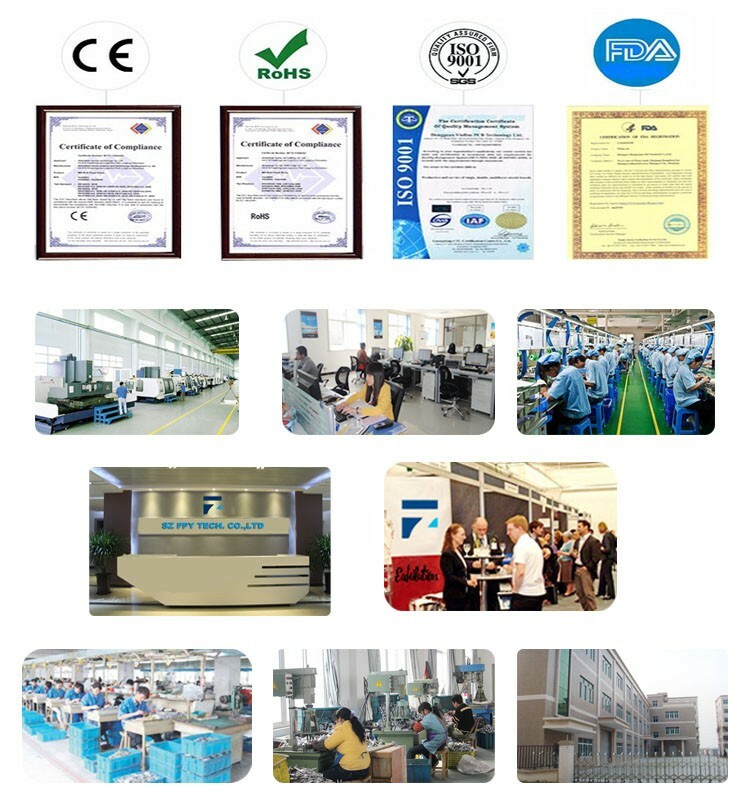 2.Constructed with sturdy glass and a thick rubber gasket, you get a complete seal every time. Enjoy a fresh beverage each time you open the cap. 3.The easy open and close cap makes your bottles secure, leak proof and easy to maintain. 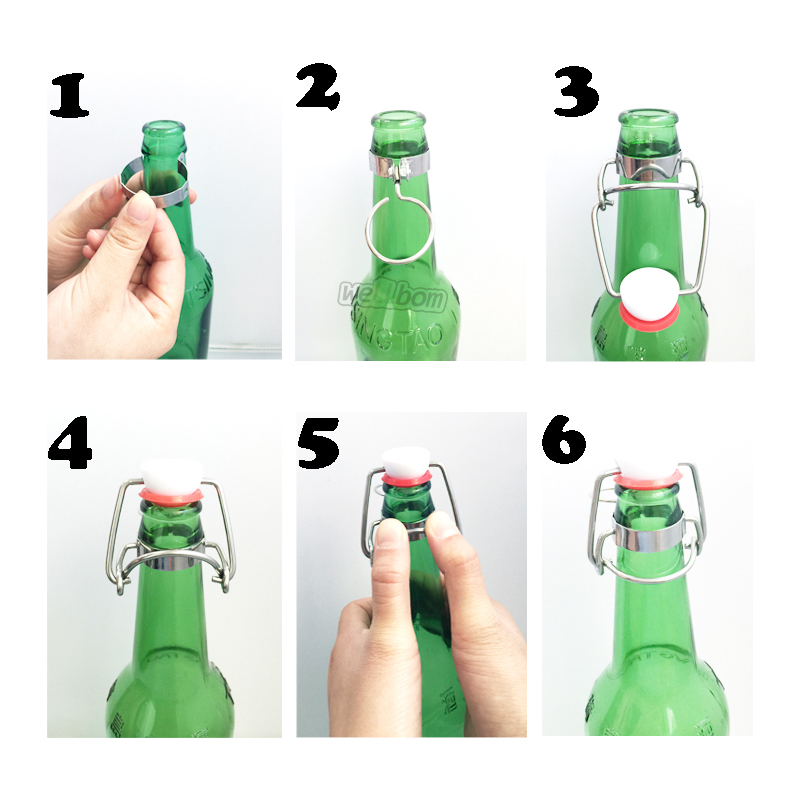 4.These swing top closures are the perfect replacement for all of grolsch style bottles or EZ-cap bottles. Made of ceramic, they are reusable , and able to withstand high pressure , making them perfect for bottle conditioning your homebrew.